Crafted from textural chiffon and rippling with ruffled accents, this lightweight dress makes a statement this season. Crafted from textural chiffon and rippling with ruffled accents, this lightweight dress makes a statement this season. 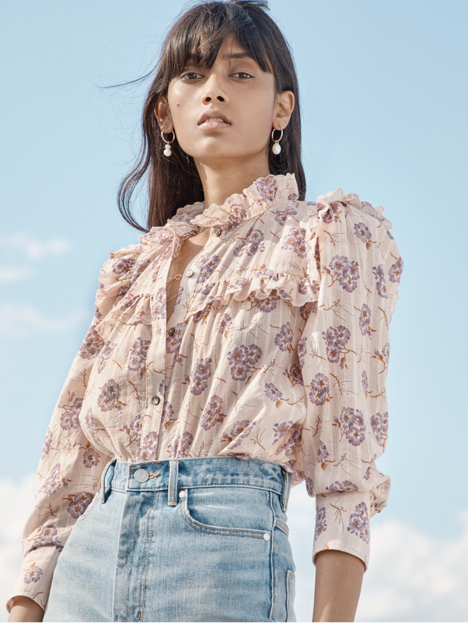 Our favorite garden florals bloom across its smocked-waist silhouette, while a button at the neckline can be fastened into a keyhole or worn open as a V-neckline.